One of the challenges we always set ourselves when we are away on holiday is that of finding free wifi. We refuse to pay the ridiculous data charges the phone companies are looking for when outside the UK and some countries are better than others at making wifi access available. For example we have found Spain to be really good. I think we have managed to find free wifi in every port we have ever been at in the country. Italy, on the other hand was impossible. Unless you had an Italian mobile phone number you couldn’t register to use any wifi even where you could see it. Even McDonalds were looking for a local telephone number or credit card details. It was a nice surprise, therefore to find free wifi in the town squares in Ajaccio in Corsica. Before getting back on the boat at the end of a lovely day we sat in the town square and checked email, etc. it is quite something being able to sit in the shade of a palm tree and let friends know you are still alone. 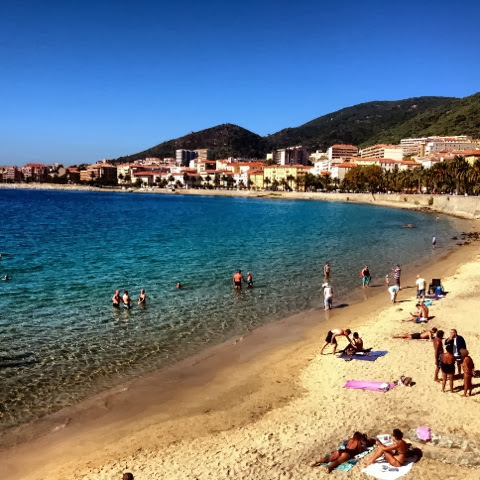 Ajaccio is a beautiful wee place. I hadn’t really been aware of its existence before booking this cruise. We would definitely come back here another time. It is well worth a visit. Now we are off for a day at sea before Gibraltar on Wednesday. The data charges are even higher than they are on mainland Europe so our next opportunity for free wifi is likely to be the Gibraltar Arms pub. This entry was posted in Professional on 25 September, 2013 by Gordon McKinlay.